Visit Whitten Brothers of Richmond today to view our inventory of new Chrysler vans and cars. 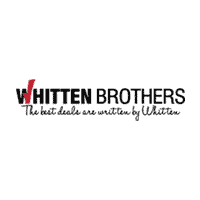 You’ll find exactly what you’re looking for with our wide selection of new <a href="https://www.whittenbrothers.net/new-vehicles/chrysler-300/">Chrysler 300s</a> and <a href="https://www.whittenbrothers.net/new-vehicles/pacifica/">Chrysler Pacificas</a> for sale. Plus, whatever your budget and lifestyle, our financial experts will help you find competitive leasing and financing options. Our friendly staff in Richmond is happy to help you find the perfect Chrysler for sale in Richmond.